Burgers just got a little more exciting. And tastier…the smoky flavor infused into the pickles and onions is fabulous. Perfect, perfect, perfect! Serve these as is, or serve each little burger ball on a small dinner roll. We enjoyed these like this with some baby carrots and pineapple. 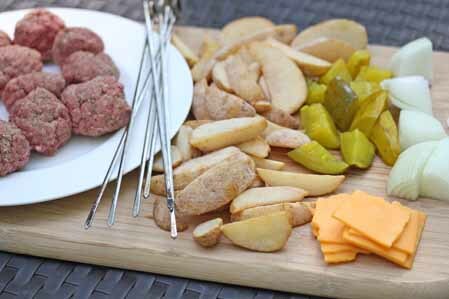 Prep the burger balls, defrost/thaw the potato wedges, cut the onions and pickles, and “quarter” the cheese slices. Roll em, and grill all sides. 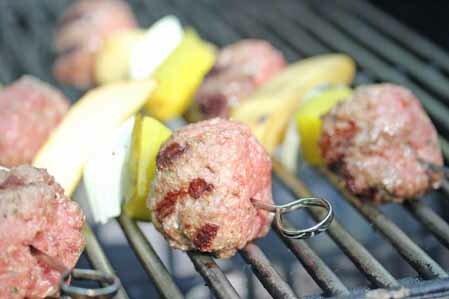 Once the meat has cooked through, move the kebabs off of the direct heat and let the cheese slices melt on the burger balls. For the rest of the potato wedges, place as many as you can fit onto skewers and grill them for a few minutes on each side, until cooked/warmed through. 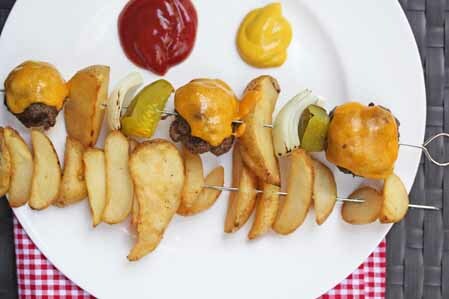 Serve a skewer or two of grilled fries with your burger kebabs! Defrost or thaw the potato wedges completely. In a bowl, mix together the ground beef, bread crumbs and Italian seasoning. Toss in a little salt and pepper too. 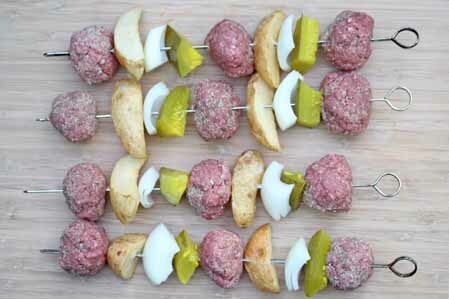 Make 12-16 small burger balls that you can skewer. 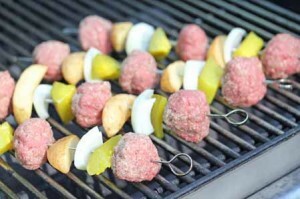 Pack tightly, as they will loosen slightly as you grill them. Cut the pickles, onions and break the cheese slices into 4 small pieces. Skewer the burger balls, pickles, onions, and potato wedges. Grill for a few minutes on each side, until meatballs have cooked through. Then move to indirect heat or top rack on the grill and place the cheese slice on top. Close the lid and let cheese melt, 2-3 minutes. Serve Cheeseburger ‘n Fries Kebabs immediately with side dish. This entry was posted in Grill, Recipe. Bookmark the permalink. I think this is a wonderful idea. I am sure to make these little babies. Woohoo. Thank you so much. Thank you so much! Fantastic idea!!! Is there a way to use fresh potatoes instead of thawed frozen? Thanks! Yes, you could use fresh potatoes, but you’re going to have to microwave them first to get them a little soft…otherwise they would have to cook too long on the grill and you risk burning them or really drying them out. I haven’t tried it…but this is what I’d do. I’d cut the potatoes into wedges and soak them in salted water for 30 minutes. Then pat them dry and microwave in a single layer on a plate for a minute at a time, until they were semi-soft and you could string them easily onto a skewer. Then I’d grill them. Just made these tonight and they turned out great! We made these last week and after the meat was cooked we brushed them with BBQ sause and let them cook a minute more. Toped them with jack cheese. That sounds super scrumptious Jolene! We’ll have to try this! on by the pool! I love it!!! Is there any way you can make this inside, not on the grill? The cheeseburger kebobs will be allowed on my diet next week. Thanks for sharing! My family loved this meal! Looks so yummy and easy I can’t wait to try it out! What a fun kid friendly meal. Definitely will be giving this a try. This is quite possibly the greatest thing I have ever encountered! I’m a little nervous about grilling potatoes, only b/c I’ve never done this before. How do they turn out on the grill? Taste-wise, is it better to grill the thawed-out, frozen version, or to slightly cook the ‘brined’, fresh potatoes? 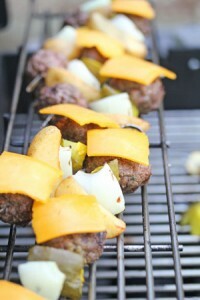 Pingback: Featured Pinterest Board: Grilling Time! 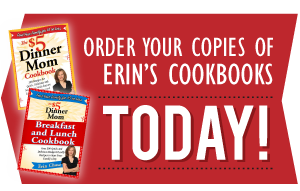 Pingback: Best Recipes for Your Memorial Day BBQ!